We bring you another update to one of our DLCs! This time from GameGuru Mega Pack 1, the pack which brings you Arabic Old Town scenery, Industrial assets and the Mystic Library for your game building needs. 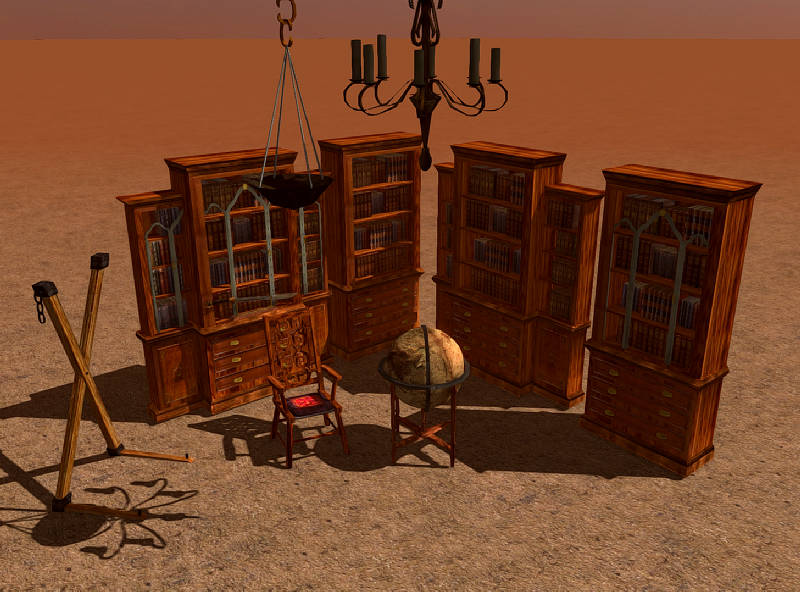 In this update we bring more PBR textures to elements from the Mystic Library with 4 bookcases, a chair, decorative objects, a chandelier and a world globe. Back in the main product, we are looking closer at supporting a new model format, the very modern and exciting GLTF v2.0 format which you will find springing up over the last few years, including popular asset stores such as SketchFab. More news on this as it happens, and we look forward to giving you more powers to import the models you want for your next game making project.